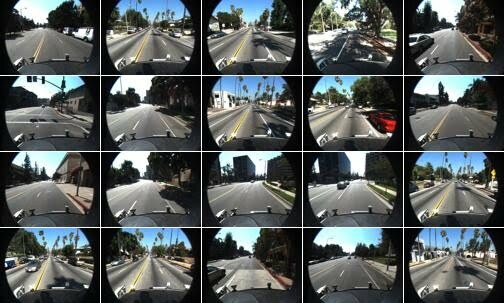 Caltech Lanes dataset includes four clips taken around streets in Pasadena, CA at different times of day. The archive below inlucdes 1225 individual frames as taken from a camera mounted on Alice in addition to the labeled lanes. The dataset is divided into four individual clips: cordova1 with 250 frames, cordova2 with 406 frames, washington1 with 337 frames, and washington2 with 232 frames. CaltechCV Image Labeler: a Matlab script to edit/view the labels in this dataset.